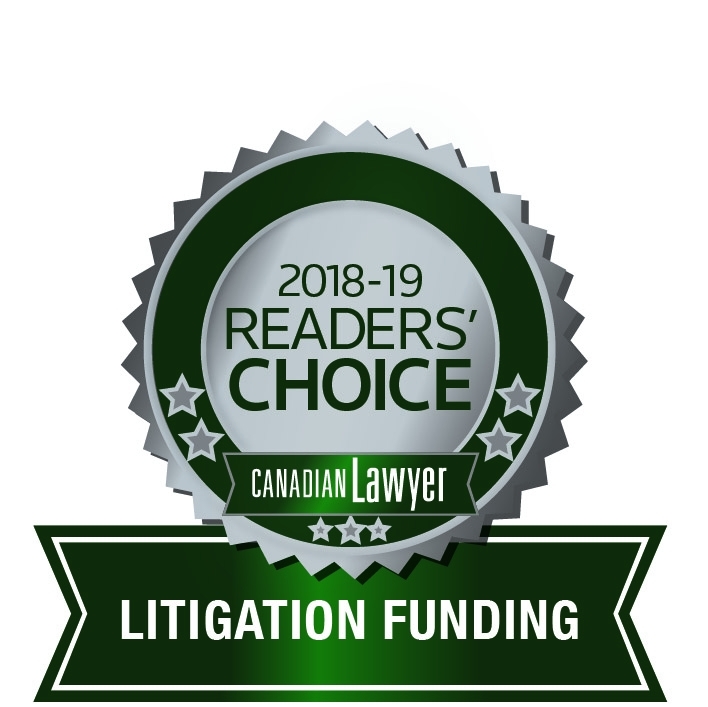 2018 Canadian Lawyer Readers' Choice Awards | Bridgepoint Financial Services Inc.
BridgePoint is proud to announce that we've earned the distinction of being named the 2018 Canadian Lawyer Readers' Choice Awards winner in the category of Litigation Funding! This is the fourth consecutive year that BridgePoint has won this award, which is determined by reader's votes of the top companies and products that prevailed among their competitors. The Canadian Lawyer Readers’ Choice Awards were created by Canadian Lawyer with voting conducted via online ballot. More than 2,000 readers cast votes for their preferred suppliers and vendors in 38 categories. With our strong commitment to responsible lending, facilitating access to justice, and a plaintiff-focused approach to settlement loans, it is an honour to have these tenets echoed by Canadian Lawyers.